Famous Dave’s – Concord Hospitality Inc. Roll up your sleeves and get ready for some down-home country Bar-B-Que! We welcome you to learn more about this growing concept and the communities in which we serve up Real Honest Bar-B-Que! Famous Dave’s® began as a life-long dream of barbeque enthusiast and chef, Dave Anderson. After years of testing recipes and perfecting his barbecuing techniques, Dave opened his first restaurant in Hayward, Wisconsin, named Famous Dave’s BBQ Shack. 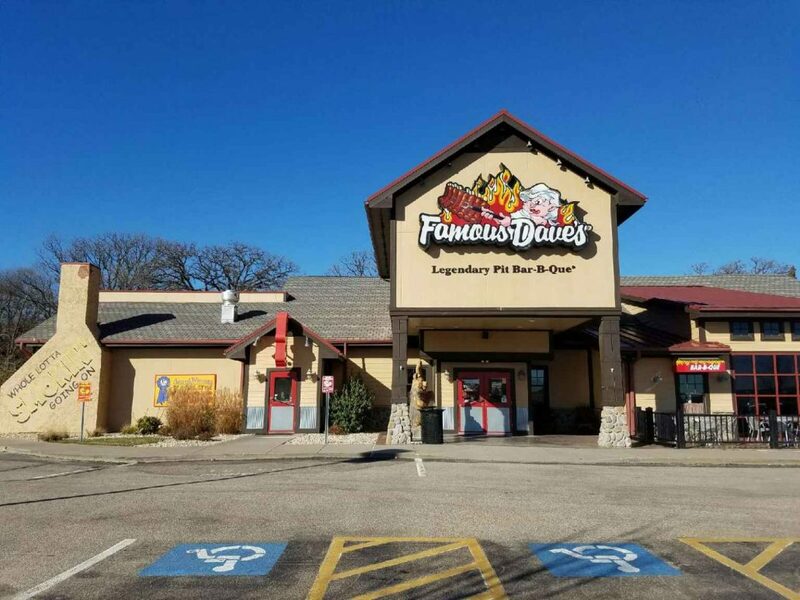 With the tremendous success of this northwoods shack, Famous Dave’s of America soon opened its first Famous Dave’s restaurant in Minneapolis in June 1995. Since then , the chain has grown to over 100 company-owned and franchised locations in 24 states. Famous Dave’s has received over 400 awards, including Best Ribs, Best New Restaurant, Best Music, Best Take-out and Best Barbeque Joint. To learn more about the company, visit Famous Dave’s corporate website.